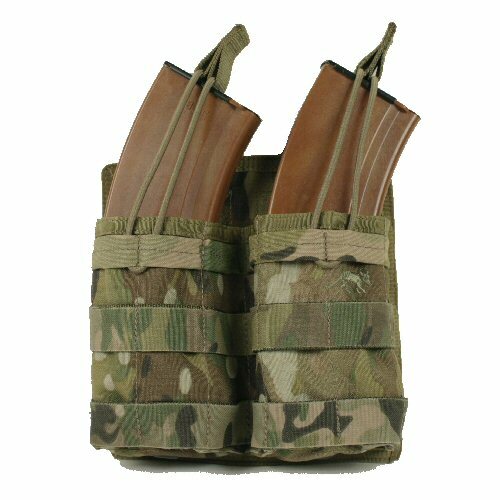 The Multicam side by side open top single G36 mag pouch from Tasmanian Tiger is made in genuine Crye 1200D Cordura. 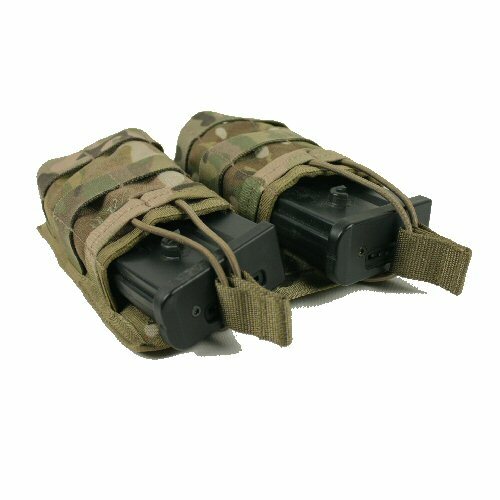 It measures 20x9x4cm and is the German answer to the open to M4 mag pouches. 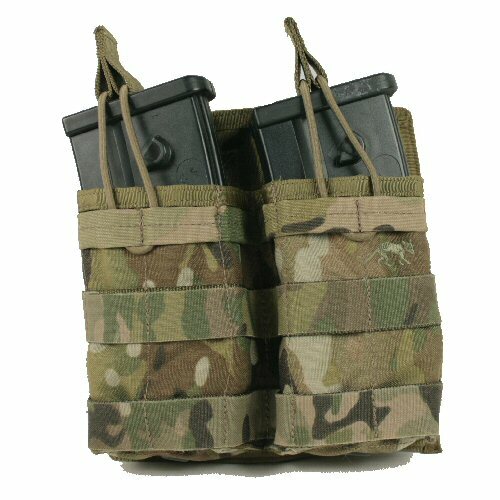 The pouch is internally lined with nylon material to help ease the magazines, including the lugs, into postiion. 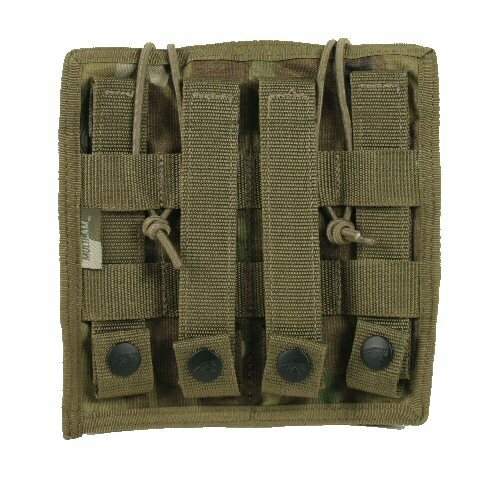 The rear of the pouch is suitable for 25mm MOLLE webbing as it is fitted with four vertical 25mm PALS webbing and two spaced 25mm horizontal webbing for interweaving the straps into the MOLLE base. The top of each pocket is secured with strong 3mm thick elastic bungee which is knotted in the rear and allows for height adjustment without further modification. A loop of 25mm webbing at the top of the elastic cord makes operation with gloved hands easier. 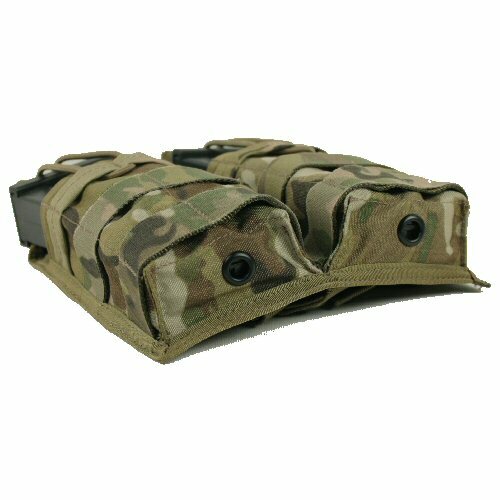 The pouch also has two MOLLE webbing straps on the front to enable the pouch to be used as part of a shingle layer system. The bottom of each pocket has one drainage hole. Please note accessories are shown for illustration purposes only and do not come with the pouch. Angled top down view of the pouch.